It there are no photos than it didn’t happen! 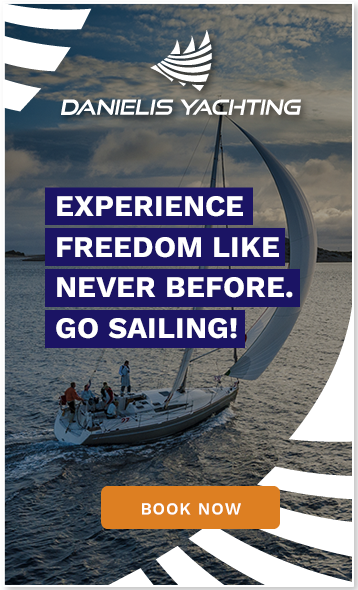 This statement holds true especially for holidays, so if you’re coming to spend the warm days of summer sailing along the Croatian coast come armed with a camera or a smartphone to capture the ethereal beauty of the place! To make sure that you don’t miss the best shots, we have made a list of 5 locations that will make your friends home green with envy, so be sure to check this list of locations that simply must be on your Instagram feed. Picking just five of them for this list was a hard decision, so we bring you the best of the best, amazing photo opportunities that you simply must immortalize on your Instagram profile. Picking just one perfect place in Split would be an impossible feat, there is simply too much of things to see, places to visit and stuff to eat. Split is the biggest town along the Croatian coast, during the summer its population increases two-fold. The city becomes even richer with life and filled with the energy of the people who roam its narrow stone street, becoming infatuated with the place. 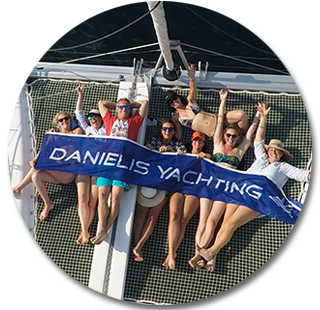 The laid-back, Dalmatian lifestyle will sweep you off your feet and you will find yourself spending hours in nearby cafes or restaurants peaceful and content with life. The one place you surely mustn’t forget to visit is the symbol of Split – Diocletian palace – some parts of which you may remember from the Game of Thrones. To capture the true essence of the city, do not forget to visit the nearby forest of Marjan which offers three peaks and a lookout point from which you have an unparalleled view of the Split and the surrounding islands. One of the most beautiful Croatian islands, if not the most beautiful one. The beauty of Hvar was appreciated since the times of the ancient Greeks. It is an island that will surely make everyone's itinerary when sailing along the coast of Croatia. Beautiful sunsets over the harbor, the scent of lavender fields, and tasty cocktails served in sophisticated hotels all serve to incredibly remind you of French Riviera, albeit with a different twist. There are so many sights to see and places to visit, from Renaissance cathedrals to fortresses, but if we should pick one location you must visit that would be Španjola Fortress in the city of Hvar. On a clear, blue day you will have a breathtaking view of the neighboring Pakleni islands and the distant island of Vis. According to mythology, Mljet was the home of the Greek hero Odysseus for 7 years, who lived there together with the nymph Calypso. No force or trickery would be able to detain the most cunning of all the heroes for that time if he hadn’t at least in some part enjoyed the experience. And just by witnessing the photo memorabilia captured by other visitors you can see why. The island of Mljet is so beautiful and mostly unspoiled by the rapid urban development that the western part is protected as a National Park. Kayak through the numerous small lakes scattered around the area and be sure to capture the sight of St. Mary’s Monastery built on the island in the middle of a lake, which is a symbol of the park. Make the journey your own personal odyssey and discover for yourself all the subtle nuances that make the place magical. Zadar, the second largest Dalmatian city, is a town which has a long and rich history behind it. The old walls of Zadar, witnesses to its past glory, which made even the Venetians envious and numerous churches and monuments all make for a great opportunity that must be captured on camera. But come to the town of Zadar, if not for anything else, then simply for the sunset, which Alfred Hitchcock called the “most beautiful sunset in the world”. Capture that moment while on The Greetings to the Sun monument, dedicated to the Sun. It is a platform consisting of three hundred glass plates with the stone-paved waterfront in the shape of a circle with solar modules placed underneath. When the magical moment passes and the Apollon rides below the Okean on his fiery carriage, the light elements installed in the circle make for a wonderful night show worthy of capturing on your Instagram feed. You knew it was coming, so placing the city of Dubrovnik on our list was no surprise. Placed on the southern shores of the Adriatic, the Old Town of Dubrovnik is as beautiful as any fictional place from a story, so it so no wonder that it was chosen to represent Kings Landing from the Game of Thrones. If you have seen the photos of the place, know that there is only so much that the lenses can seize, and the senses can only be appeased while there, living in the moment. While there be sure to visit restaurants, one of which was recently awarded Michelin Star of excellence, have a drink in cafes near the walls and appreciate the beauty of nearby islands. But for a truly unparallel view, which when captured will make all of your friends jealous, take the cable car atop the Srđ Hill and witness the unmatched view of the Old Town itself, nearby Lokrum island and the neighboring town of Cavtat. As you have seen, just looking at the photos of said places, makes you eager to experience them for yourself. Everyone who has come to Croatia and sailed along its shore left it with a feeling of wanting for more. While there, be sure to live in the now, become accustomed to the peaceful, sometimes a bit slow Mediterranean lifestyle and appreciate the beautiful natural scenery that surrounds each place on our list. By taking the photos, you are not only becoming the star of Instagram but also immortalizing the moment of bliss experienced.